20/30/50 Healing Path™ – The name created by Dr Shiroko applied to a blend of Eastern and Western medicine. It consists of 20% physical approaches, 30% lifestyle, and 50% emotional spiritual components to achieve optimum health. Acupuncture – Is a painless practice of putting very fine needles in specific locations on your body that allows energy to move in order to create healing. It is one component of Chinese Medicine. People often ask how putting needles in your skin can be painless. Unlike medical needles they have a solid point, which doesn’t cut through your tissues, it gently parts them. Balance – Is a state of equilibrium when energy is flowing smoothly throughout your body. Balance does not mean that nothing is changing. In fact it is a sign of good health when your body adapts well to the changes. The symbol of Yin/Yang represents the flow of change and balance in life. Bio-Identical Hormones – are hormone replacement supplements that are chemically exactly like the hormones you naturally make in your body. They are usually made from plants such as soy, or wild yam, but you can’t eat enough soybeans to get a milligram of estrogen. It has to be made in a lab synthetically. The idea behind using bio-identical hormones is to help you get your body in balance as naturally as possible. Sometimes herbs and acupuncture are not enough. Hormones like birth control pills or premarin or provera are not bio-identical. They are similar to our natural hormones but not exactly the same. 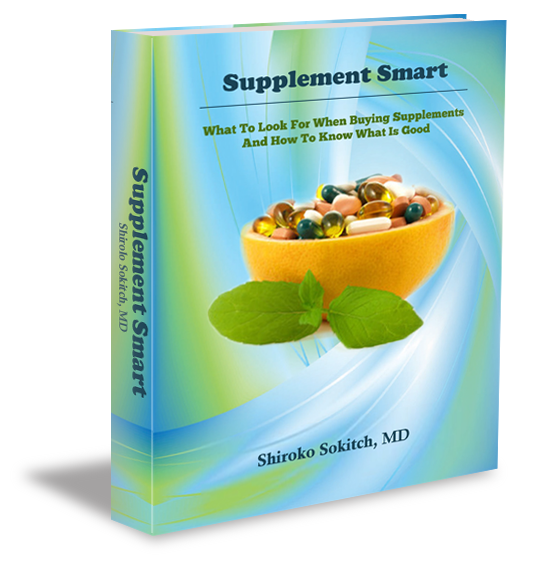 Blended Medicine™ – Dr. Shiroko has practiced a blend of both Chinese and Western medicine together for over 20 years. Her approach is unique in that she does not separate the two but rather sees them both as a whole together creating a balance of health for her clients. She created the 20/30/50 healing path out of using this blend of medicine. Chinese Medicine – Chinese medicine is an entire system of health based on the idea that we are made up of energy. Energy flows through your body in certain patterns, when your energy is out of balance, there are problems. The purpose of Chinese medicine is to help you get back into balance. It includes – nutrition, herbs, acupuncture, hands on methods, exercises, and philosophy of living. Conventional or Alternative Treatments – Generally, conventional or alternative treatments go along with symptom analysis. There is a standard way of approaching each set of symptoms to find the best available answer within the framework of the system of medicine we have. Even alternative treatments approached from the symptomatic point of view will produce only limited results. Functional Medicine – Is a term used to describe a western-based approach that looks for the root cause of a physical issue. I use certain tests to study how your body is actually working rather than just looking for a disease. Measuring hormone levels, or brain chemistry levels, or doing a stool test to see how your digestion is performing are some examples of Functional Medicine. The idea is that when you find an imbalance, you use certain supplements or medications to help get your system back into balance. For example, if your hormones are out of balance, you won’t feel your best, you might receive an herb or a bio-identical hormone to get back into balance. Health for Life – I hold a vision of complete health where you are comfortable in your body, able to listen to it when you need to change something, and enjoy your healthy life so you can be more productive and successful in the world. This is Health for Life. Heart to Heart – 20 years ago when we started Heart to Heart we named it this because our vision was to create a place for healing that brought the best of our technology, ancient wisdoms, and hearts together as one. Heart to Heart is about bringing the best of healing from our heart to your heart, and for you to bring your deepest heart to a place that’s safe for you to heal. Love – is more than your relationship with your spouse, children, or family members. Love is the driving force of the universe. When we begin to see that we are all the same in our need to be whole, to express ourselves, and to create goodness in our lives, we develop a new compassion, which goes beyond the love of one person to another. Optimum Health – Optimum health is a state of feeling balanced and in tune with your body. You are able to listen to your body and know what you need in order to feel well. It is a balance achieved by being in alignment with the 20/30/50 healing path. Our logo – Our logo represents all that we stand for – It is two hearts superimposed on one another – one our standard western perspective, the other is heart in Chinese. A meeting of East and West – from Heart to Heart. Restorative Treatment – When you are feeling badly for a long period of time, you just want to feel better. Usually you want to “go back to feeling how you used to feel.” I call this “restorative” treatment because you’re seeking to be restored. This can be a misleading thought, because whenever you have an illness or physical condition that takes you out of your previous orbit, you will never be the same. Things change inside of you at levels you may not understand right now. The ultimate goal in healing is not “restorative” treatment it is Optimum Health. Shiroko – The name Shiroko means many things depending on how you spell it or think of it. In Japanese, it means – white light, or white child. Some people think it’s supposed to be spelled “scirocco” like the high desert wind, which is also okay with me. I chose this name because at the time I was doing Aikido – a nonviolent martial art. I was so impressed with the intention of empowering a person who was attacking while also taking care of myself, that I wanted a name to fit with that model – so I chose a Japanese name. Symptom Analysis – In conventional medicine, when you have a symptom, it’s your doctor’s job to figure out what’s wrong with you, using certain standard tests and procedures. If nothing shows up within that range of testing to explain your condition, you have a mental or psychological problem. Quite often you are offered some sort of medication to cover up the symptoms. Chasing symptoms almost never helps you heal a problem. The Whole Person – is a way of talking about all of who you are. When you are sick or have chronic illness – healing involves not just addressing your symptoms but treating all of you, physically, emotionally, and spiritually. Yin/Yang – All energy is divided into these two opposites. Yin is the feminine, moist, cool, nighttime energy. Yang is the hot, dry, masculine, daytime energy. The symbol, yin/yang is a representation of how energy flows, throughout the day, sometimes it is more yang, such as in the morning. Other times more yin, such as the night time. The little circles represent each being able to convert to the other. Without yin/yang, you cannot discuss energy, because it is always a dance of these opposites.